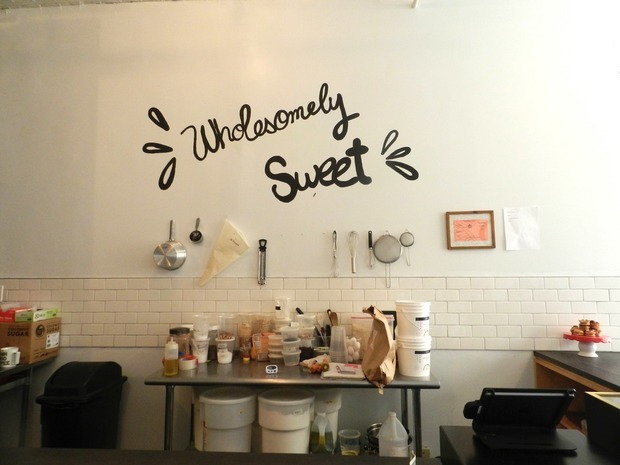 This May, Elisa's Love Bites will celebrate its first year as a beloved gluten-free and vegan-friendly bakery in The Loom on Flushing Avenue with an updated menu to boot. When we last wrote about Elisa's, the then-new shop offered pastries exclusively. Now, Elisa's serves up items such as breads, hummus and tapas. "Ideally I want to add more sandwiches and stuff like that, but I would need more equipment," said Elisa Lyew, the shop's owner. Lyew has also expanded her horizons over the past year. This January the local baker was featured on an episode of The Food Network's "Chopped." "I did an event and somebody that was involved with production was scouting and she asked me to come in and was like 'oh why don't you fill out the forms'...It takes months. It's pretty cool but so intense," said Lyew. "That was actually a lot of fun. We filmed the first or second week we opened last year here, and it aired this January. There were cameras, and people and people asking you questions, and you're trying to tune everything out and put something on the plate. I didn't win but it was a lot of fun! People saw me on TV and they came here, and that's why I did it." If a Food Network-grade chef and marvelous vegan desserts aren't enough, the shop's whimsical aesthetic is just another reason to visit. 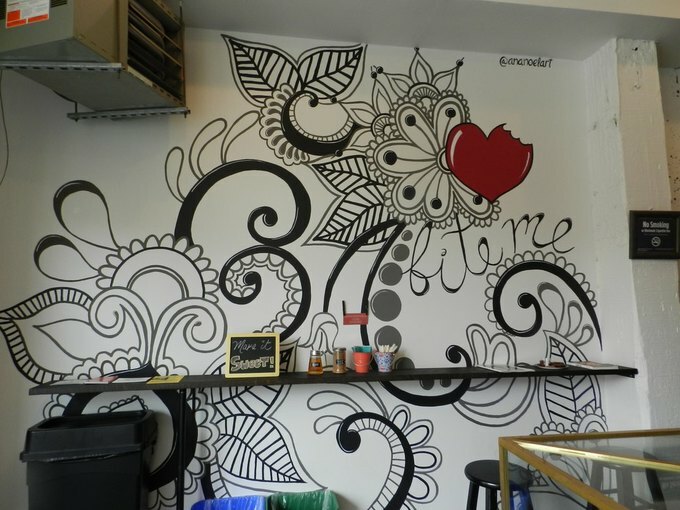 Lyew commissioned her cousin to work on the gorgeous mural featured on the bakery's main wall. "I never went to culinary school; I just know how to bake," Lyew added. "I've always done it since I was a little kid." Visit Elisa's Love Bites and celebrate the bakery's anniversary with a scrumptious gluten-free dessert! 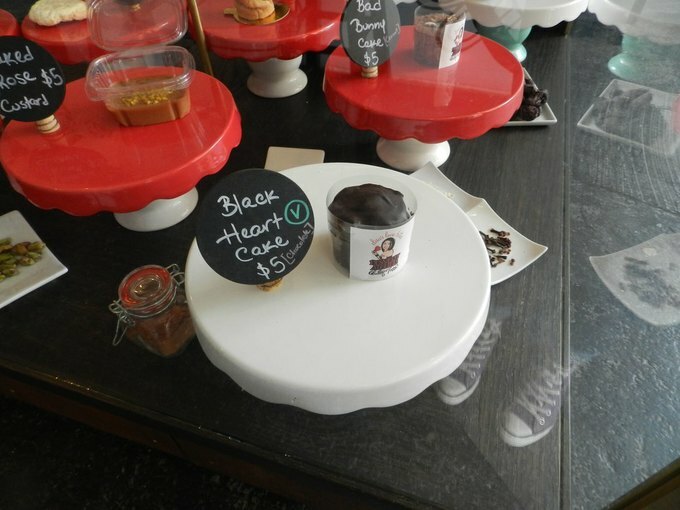 We recommend the Black Heart Mocha Cake and the Bangin' Chocolate Chip Cookies. Gluten-free bakery with a new, expanded menu. 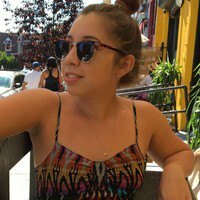 Follow Elisa's Love Bites on Facebook, Instagram and Twitter. Featured images by Jacque Medina for Bushwick Daily.